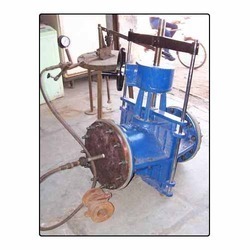 R. B. Panchal & Co.
We are engaged in offering complete test system or Instrumentation and software to conduct the Fire Safe Testing of Valves conforming to API607 / 6FA for all types of valves. Tests are conducted as per API standards (API 607 V EDITION AND API 6FA) with state-of-art instrumentation interfaced to PC. EFCO India's PC based Safety Valve testing equipment "LEGATEST" is designed to test Relief Valves online. - On line Testing of Safety & Relief Valves during Plant Operation. - Testing at any location, even in explosion - safe areas. - Highest accuracy through digital technology. With the support of our talented team of professionals, we are engaged in providing Air Release Valve Testing Service. Mec Elec Industrial Services (p) Ltd. Matching up with the ever increasing requirements of the customers, our company is involved in offering Valve Testing Service. Type of Valve: Sluice Valve and Butterfly Valve, etc. 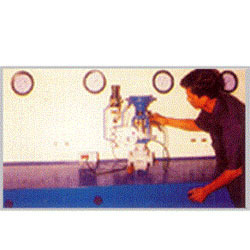 EFCO India's PC based Safety Valve testing equipment is designed to test Relief Valves online. On line Testing of Safety & Relief Valves during plant operation is carried out at any location. Carrying out the test helps in increasing accuracy, reducing downtime, as well as avoiding emergency shutdown solely for mandatory testing. To meet growing requirement of precious consumers, our firm is providing best SMPV Valves Testing Services. This testing work is accomplished by diligent professionals of our team using highly technical machines and best methods. We are one of the leading names in industry for providing Online Valve Testing Service in the industry. Our services are rendered under the strict guidance and control of the industry experts, who keep an eye on all the ongoing processes. Our services are known for their efficient working, timeliness and reliability. Banking on the skills of our qualified team of professionals, we are involved in providing Safety Valve Testing Service. MEIS specializes in the testing, repair and calibration of Safety Relief Valves of all types and sizes. We operate a mobile unit to cater to our clients in even remote locations. Our set-up can be used to service and calibrate soft seat and metal seat SRVs up to 12 inch in size. We strictly follow API & OISD Standards for testing and seat tightness. Incase you have a tank of any Gas, under SMPV Act, the tank and the valves need to be tested and certified every year or once in 3 years. Such certification can be done by us. We are equipped with necessary test benches for the same.